There are advertisements all over media which make claims about the settlement of tax debts that taxpayers need to pay to the IRS. The particular settlement program is known as Offer In Compromise. However, the fact that a vast majority of Offer in Compromise applications are rejected is something you should be aware of. In a report made by the Government Accountability Office, there were 16 million people with tax debts as of 2010. During that time, only 31,000 Offer in Compromise applications were approved, while approved Installment Agreements numbered to 4 million. The acceptance rate for Offer in Compromise is low because of two main reasons. There are a lot of taxpayers who apply, but do not fulfill the base qualifications for Offer In Compromise. The taxpayers who do qualify are unable to pay the amount they offer. Do you Qualify for Offer in Compromise? 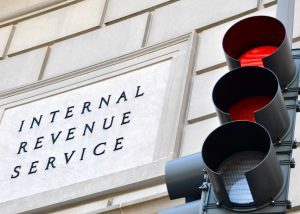 The basic criteria that is used by the IRS to determine the acceptance of an application for Offer in Compromise is the ability of the taxpayer to pay their tax debt. There is a tool on the IRS website known as the OIC Pre-Qualifier that can help you get a basic idea of your acceptance eligibility. The basic idea to qualify for an OIC is for a client to prove their inability to pay the total tax debt before the expiration of the collection statute. This is done by viewing the net equity of assets along with any kind of future income. Monthly disposable income is basically what the IRS uses to calculate future income to determine whether a tax debt can be paid before the expiration of the collection statute. If the final calculation determines the inability to pay your tax debt, you are considered eligible for Offer in Compromise. You should know that eligibility does not equal acceptance. You must be able to pay the offer amount computed by the IRS in order for your application of Offer in Compromise to be accepted and the debt to be settled. Can you Pay the Offer in Compromise Amount? There is a formula used to objectively determine whether you can pay the amount proposed in the Offer In Compromise. The formula requires an estimate of your future income for 1-2 years. Due diligence is necessary for calculations of the offer amount. Sometimes, people who have a tax debt overestimate or underestimate this amount in their calculations. They need to properly calculate their disposable income for each month and the net equity in the assets they own. Due diligence is also important in order to avoid what may become a lengthy and costly investigation process. The number of qualifications and acceptance of Offer In Compromise has been rising since 2011. The reason being the Fresh Start Initiative which has made it easier to qualify for Offer in Compromise. The 2011 initiative also enabled the people who owe taxes to pay a lesser offer amount. Before the introduction of the initiative, offer amounts for tax debt settlement were considerably higher than they are today. Before the initiative, future income would be summed up for 4 years instead of the 1-2 years that is now calculated since the Fresh Start Initiative. There was a 30% increase in applications for Offer in Compromise after the introduction of Fresh Start, while the IRS’ acceptance rate has increased from 25% to 42%. The Offer in Compromise should only be considered when your financial situation is poor enough to hinder your ability to pay the complete tax debt until the expiration of collection statute. The criteria for qualification and acceptance of an Offer in Compromise application is quite clear in order to decide between pursuing an Offer in Compromise or not. The difficult task is the calculations and estimations involved in computing the ability to pay and the net equity in assets. You should look closely into the feasibility of the Offer in Compromise in regards to your financial situation. Sometimes, there are suitable alternatives to Offer in Compromise such as a Partial Pay Installment Agreement or a Currently Non Collectible Status.